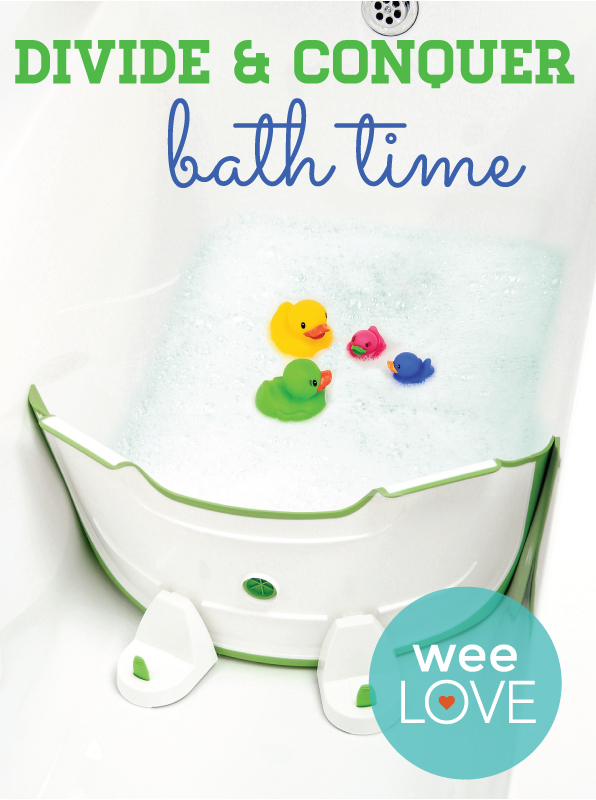 Whether you have a newborn or toddler, a regular bathtub isn’t the safest spot to get your kiddo squeaky clean. But baby tubs are often bulky and hard to store. So what’s a space-challenged parent to do? Divide and conquer bath time with BabyDam. This water barrier sections off a safer, smaller area in your tub. That means you’ll use less water, spend less time filling up the bath, and gain peace of mind. Plus, tots will appreciate that their rubber duckies are always in arms reach. Already a favorite among parents in Europe, BabyDam is now available in the U.S. Made with BPA-free materials, it fits standard size tubs with a smooth bottom. When not in use, it hangs easily on the shower or tub wall (so you won’t need to clear out your linen closet to make room for a standalone tub). Aside from all these perks, the best one may be having less bath toy territory to clean up at the end of the day. Next story weeLove: What Witching Hour?